A third woman has come forward with allegations implicating Brett Kavanaugh of sexual misconduct, but the Senate Judiciary Committee does not intend to delay Thursday’s hearing, which will include testimony from accuser Dr. Christine Blasey Ford. 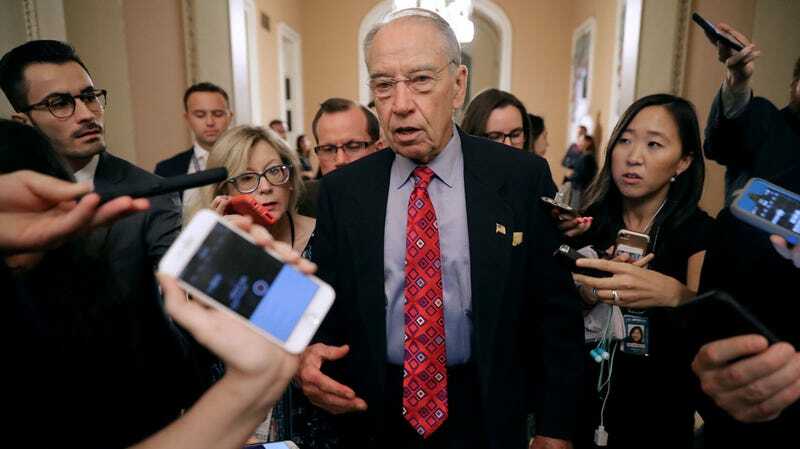 When asked whether there may be a separate hearing to assess the subsequent accusations, Senate Judiciary Committee chair Chuck Grassley declined to give a definitive answer. Senate Republicans have rushed forward with Kavanaugh’s confirmations without an independent FBI investigation, as requested by Ford, have not subpoenoed other witnesses, and have repeatedly attempted to discredit Ford in an effort to move forward with a vote, scheduled for Friday.